Svea the Moose came along on a roadtrip with me last week! We went to visit my grandparents who live outside of Philadelphia. It took us nearly 5 hours to get there…but was it ever worth it! I love being with my Gramma and Grampa Hurley; when we lived in California, they were there, too and I got to see them nearly every day. Now it is more like once a month. We always do really fun stuff when we visit. My Uncle Brent and his girlfriend, Jessica, were there, too and my Great-Gramma. She just turned 90 so we had cupcakes to celebrate. One afternoon we wanted to do something new and fun, so the girls all decided to play a board game. This one was new to me: Clue. It is like a mystery that you have to solve. I was on a team with my Gramma–and Svea, of course. Another thing we do when we visit is spend lots of time out of doors with friends. My friends, Jim and Jean, live right down the road and they have chickens. One morning we stopped by and gathered eggs. Have you ever had fresh eggs? Yum! They are so delicious. Another day we drove to an orchard nearby with hayrides, pumpkin picking, and, my favorite, ice cream! As always, it was really fun for my Gramma to read to me before bed. I made sure that Svea and I always brushed our teeth, too. 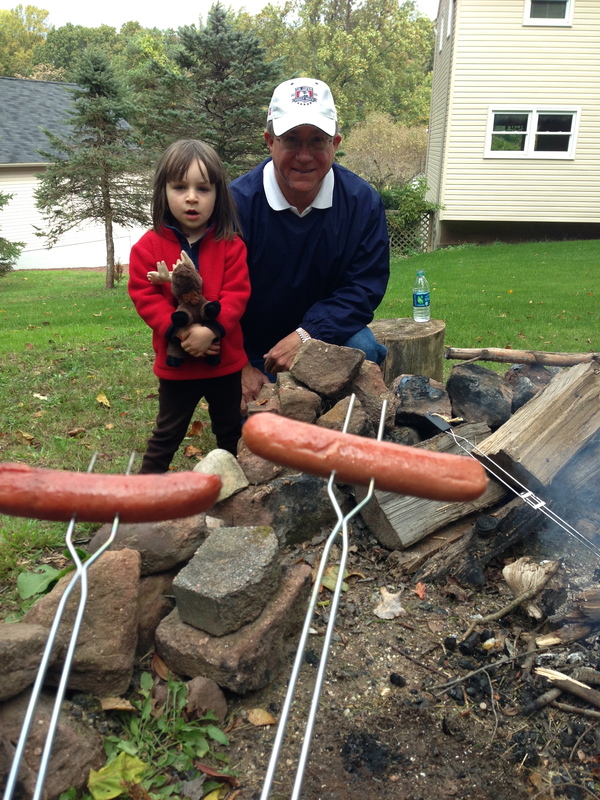 On our last day, Grampa built a bonfire and we made our lunch. Since it was grey and chilly, the fire kept us warm and cozy. What a nice visit we had. I’m so glad Svea could come, too!